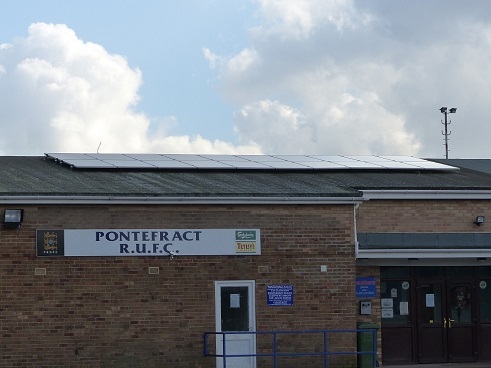 We installed 9.6kW of solar panels at Pontefract Rugby Union Football Club in November 2011. The roof has a very shallow pitch and has east and west facing elevations. The Clubhouse has quite a lot of refrigeration equipment but also has several large hot water cylinders for the players’ showers. These are heated using immersion heaters, so the electricity bill was quite large. We designed a system to go across both elevations of the roof, in order to spread the electricity generation throughout the day. The system comprises forty 245W Hyundai monocrystalline solar panels and a SMA Tripower 8000TL-10 inverter. 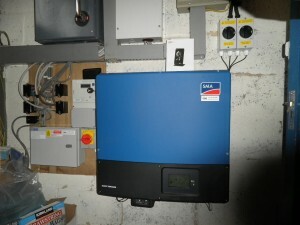 The inverter is a dual tracking model, facilitating the use of an east-west split of the solar array. The system was projected to generate 6568kWh of electricity per year. 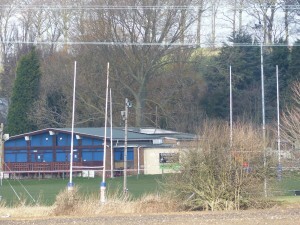 It has actually exceeded that, and has also significantly reduced the Club’s electricity bill.